Adaptive genetic variability - IZW Leibniz Institute for Zoo and Wildlife Research in the Forschungsverbund Berlin e. V.
Adaptive genetic variability reflects past and current selection processes and the corresponding responses of species on the level of genetic organisation. We use modern ecological and genomic state-of-the-art techniques, including next-generation sequencing technologies, to investigate the effects of environmental, life-history and pathogenic constraints which drive the genetic basis of adaptations under natural conditions in free-ranging mammals. Biologists are fascinated by the colorations of animals since Charles Darwin figured out their importance in his epochal book The Origin of Species. Colour phenotypes are important in many aspects, e.g. in mate-choice, camouflage, communication, regulation of physiological processes, UV protection or parasite defence. Traditionally, the genetics of coat colour in mammals is analysed in domestic species and laboratory mice because this approach has notable advantages: (1) known pedigrees (revealing the mode of inheritance), (2) many individuals can be analysed, (3) breeds or lineages are often homozygous for a specific colour variant, (4) cross-breeding between colour variants or strains is possible, and (5) domestic species have a broad variation in colour phenotypes as a result of artificial (anthropogenic) selection. However, artificial selection also allowed the manifestation of disorder-associated coat-colour phenotypes such as night-blindness whose underlying mutations today often have elevated frequencies in domestic species. In contrast, natural selection works against disorder-associated variants, thereby restricting coat-colour variation in wild mammal species. As a consequence, wild species are often less variable, sometimes uniform in appearance but well adapted to their local environment. This mode of adaptation is known as general colour resemblance. Examples are crypsis, a mode in which overall body colour resembles the general colour of the habitat (e.g. polar bear, mountain hare), or pattern blending, a mode in which colour patterns match patterns of light and dark in the environment (e.g. zebra, tiger). Other modes of adaptation are disruptive colouration (obliterative shading), which is realised by contrasting colours or irregular marks and dilutions over the entire body or parts of the body. As noted above, most wild mammal species are less variable in their coloration caused by natural selection. However, some species such as brown bears and American black bears display great fur colour variation. Often these species inhabit large geographic areas and thus are adapted to a wide range of environments. After almost 100 years of studying coat colour variation in domestic animals and laboratory mice, it is time to do the step into the wild where we connect genotypic and phenotypic variation of this fascinating adaptive trait in wild species under natural conditions. We use next-generation sequencing technologies to investigate the effects of environmental, life-history and pathogenic constraints which drive the genetic basis of adaptation under natural conditions in free-ranging mammals. Differences in host susceptibility to different pathogens are largely based on the degree of matching between immune genes and pathogen antigens. Specifically the variable genes of the major histocompatibility complex (MHC) play a major role in the defence of parasites. We could demonstrate its functional importance of MHC diversity in population health and the underlying selection mechanisms in a wide range of Mammalian taxa in rodents, marsupials, bats, carnivores, and primates. Pathogens are naturally strong selective forces that drive the evolution of their host species. But the host in turn imposes selective pressure on the pathogen, which must evade detection by the immune system. To better understand the evolution of resistance and susceptibility to viral diseases we currently study genomic effects of coevolutionary processes between the highly infectious rabbit haemorrhagic disease (RHD) virus and the European rabbit (Oryctolagus cuniculus) in Australia. RHD is of worldwide significance for both, domestic and wild rabbits. While the loss of natural populations of wild rabbits in south-western Europe is of conservation concern, the virus has been successfully used as a biological control of pest rabbits in Australia. Nonetheless, there is now evidence that wild rabbits in Australia are developing resistance to RHDV infection and numbers are recovering, while genetic changes in the virus are also apparent. Pathogenicity of a disease is not only influenced by the pathogen itself but likely also by the host’s immune gene expression which is poorly understood for wild animals. Using cDNA microarrays we identified the genetic pathways expressed in the liver during acute RHD infections in wild rabbits. We found differences in our results from those that might have been anticipated from laboratory studies. Our data suggested that the down-regulation of cell certain surface protein genes might confer protection from RHDV infection. In wild rodents (Delomys sublineatus, Apodemus sylvaticus) we showed by employing quantitative real-time PCR (qPCR) revealed associations of immune gene expression, body mass index (BMI) and helminth burden A positive association of the body mass index with the expression of certain cytokine genes indicated a link between host condition and the inflammatory part of an immune reaction. Froeschke G, Sommer S (2012) Insights into the complex associations between MHC class II DRB polymorphism and multiple gastrointestinal parasite infestations in the Striped Mouse (Rhabdomys pumilio) in southern Africa. PLoS ONE 7. Ludwig A, Pruvost M, Bellone R, Benecke N, Sandoval-Castellanos E, Morales-Muñiz A, O'connor T, Reissmann M, Hofreiter M (2012) Reply to Bar-Oz and Lev-Yadun: Horse colours in time and space. PNAS 109: E1213. Ploshnitsa A, Goltsman M, Macdonald DW, Kennedy L, Sommer S (2012) Impact of historical founder effects and a recent bottleneck on MHC variability in Commander Arctic foxes (Vulpes lagopus). Ecol Evol 2: 165–180. Schad J, Dechmann D, Voigt C, Sommer S (2012) Evidence for the ‘good genes’ theory: association of parasitism and reproductive state with immune gene constitution in the bat, Noctilio albiventris. PLoS ONE 7. Schad J, Voigt C, Greiner S, Dechmann D, Sommer S (2012) Independent evolution of functional MHC class II DRB genes in New World bat species. Immunogenetics 64: 535-547. Schwensow N, Cooke B, Fickel J, Lutz W, Sommer S (2012) Changes in liver gene expression indicate genetic pathways associated with Rabbit Haemorrhagic Disease infection in wild rabbits. Open Immunol J 5: 23-29. Axtner J, Sommer S (2011) Heligmosomoides polygyrus infection is associated with lower MHC class II gene expression in Apodemus flavicollis: indication for immune suppression? Infect Genet Evol 11: 2063-2071. Castro-Prieto A, Wachter B, Melzheimer J, Thalwitzer S, Sommer S (2011) Diversity and evolutionary patterns of immune genes in free-ranging Namibian leopards (Panthera pardus pardus). J Hered 102: 653-665. Castro-Prieto A, Wachter B, Sommer S (2011) Cheetah paradigm revisited: MHC diversity in the world’s largest free-ranging population. Mol Biol Evol 28: 1455-1468. Cieslak M, Reissmann M, Hofreiter M, Ludwig A (2011) Colours of domestication. Biol Rev 86: 885-899. Pruvost M, Bellone R, Benecke N, Sandoval-Castellanos E, Cieslak M, Kuznetsova T, Morales-Muñiz A, O'connor T, Reissmann M, Hofreiter M, Ludwig A (2011) Genotypes of predomestic horses match phenotypes painted in Paleolithic works of cave art. PNAS 108: 18626-18630. Schad J, Dechmann D, Voigt C, Sommer S (2011) MHC class II DRB diversity, selection pattern and population structure in a neotropical bat species, Noctilio albiventris. Heredity 107: 115-126. Schwensow N, Axtner J, Sommer S (2011) Are associations of immune gene expression, body condition and parasite burden detectible in nature? A case study in an endemic rodent from the Brazilian Atlantic Forest. Infect Genet Evol 11: 23-30. Froeschke G, Harf R, Sommer S, Matthee S (2010). 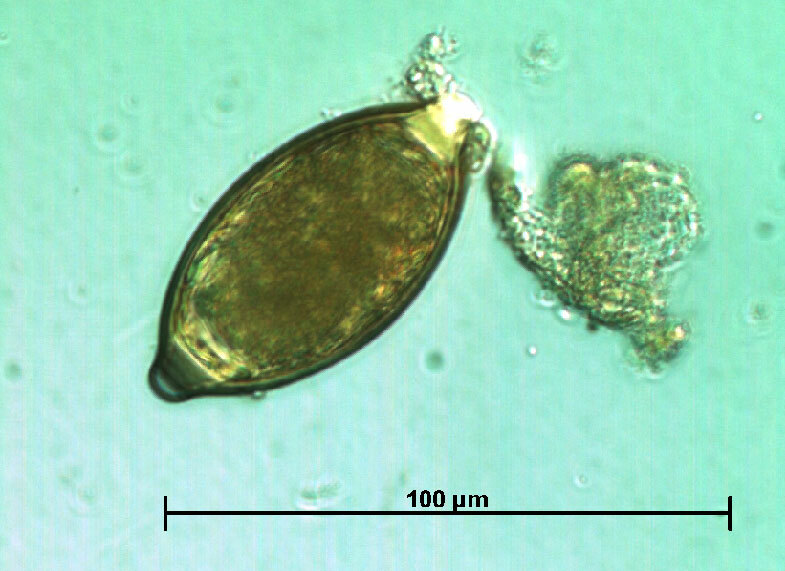 Effects of precipitation on parasite burden along a climatic gradient in southern Africa – implications for possible shifts in disease patterns due to global changes. Oikos 119: 1029-1039. (SS and MS supervised equally the study). Meyer-Lucht Y, Otten C, PüttkerT, Pardini R, Metzger JP, Sommer S (2010) Variety matters: adaptive genetic diversity and parasite load in two mouse opossums from the Brazilian Atlantic Forest differing in their sensitivity to habitat fragmentation. Conserv Genet 11: 2001-2013. Schwensow N, Dausmann K, Eberle M, Fietz J, Sommer S (2010) Functional associations of similar MHC alleles and shared parasite species in two sympatric lemurs. Infect Genet Evol 10: 662-668. 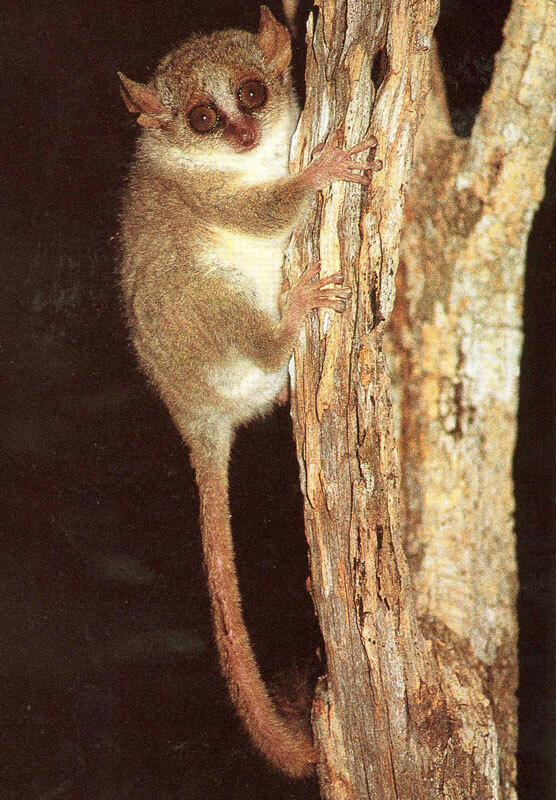 Schwensow N, Eberle M, Sommer S (2010) Are there ubiquitous parasite-driven MHC selection mechanisms in gray mouse lemurs? International J Primatol 31: 519-537. Weyrich A, Axtner J, Sommer S (2010) Selection and validation of reference genes for real-time RT-PCR studies in the non-model species Delomys sublineatus, an endemic Brazilian rodent. Biochem Biophys Res Commun 392: 145-149. Axtner J, Sommer S (2009) Validation of internal reference genes for quantitative real-time PCR in a non-model organism, the yellow-necked mouse, Apodemus flavicollis. BMC Res Notes 2: 264. Lenz TL, Wells K, Pfeiffer M, Sommer S (2009) Diverse MHC IIB allele repertoire increases parasite resistance and body condition in the Long-tailed giant rat (Leopoldamys sabanus). BMC Evol Biol 9: 269. Meyer-Lucht Y, Sommer S (2009) Number of MHC alleles is related to parasite loads in natural populations of yellow necked mice (Apodemus flavicollis). Evol Ecol Res 11: 1085-1097. 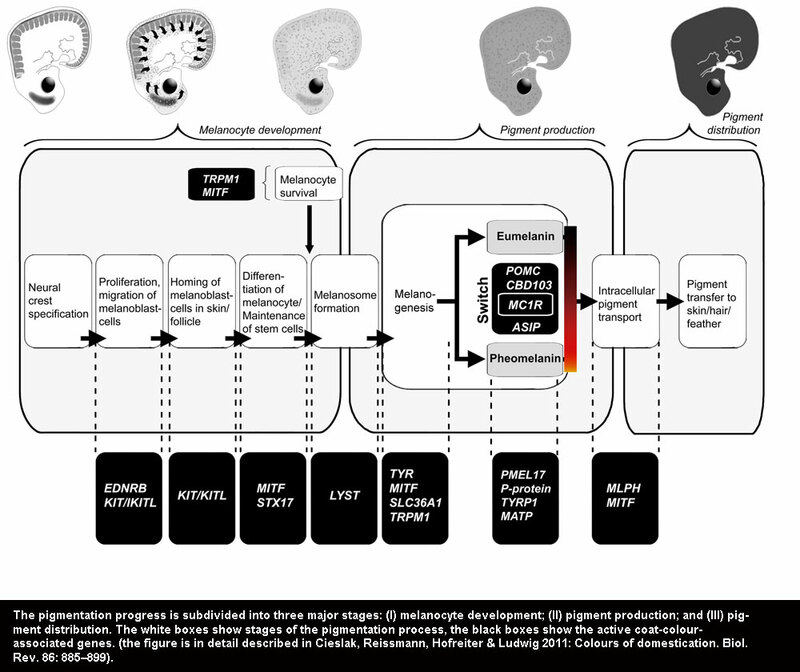 Sommer S (2009) Genes and health: The role of immune gene variability (MHC) in parasite resistance in fragmented animal populations. J S Afr Vet Assoc 80: 115. Meyer-Lucht Y, Otten C, Püttker T, Sommer S (2008) Selection, diversity and evolutionary patterns of the MHC class II DAB in free-ranging Neotropical marsupials. BMC Genet 9: 39.